Nick Harman sits down with chef Elena Arzak – who holds three Michelin stars at her family's establishment in the Basque Country – to talk restaurants, reinvention and record players. The chef sitting on the sofa in front of me is hard to recognise as the same person I saw thirty minutes ago. 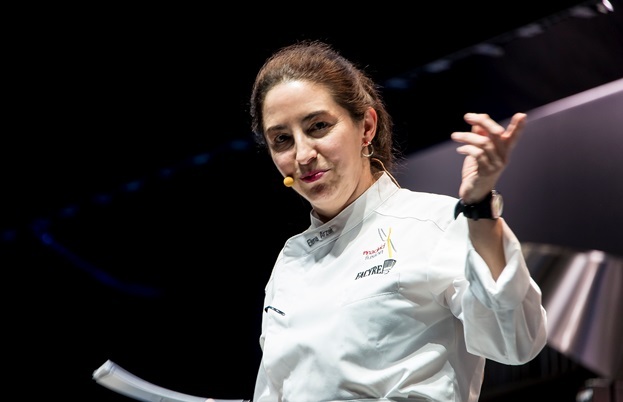 Then, Elena Arzak was dressed in chef’s whites, commanding the stage at Madrid Fusion 2018 and holding an audience of over 500 chefs, food writers and food professionals rapt with her ideas, passion and charisma. Now, back in civvies, it’s clear her mind is constantly bubbling with passionate, creative energy, and she reveals herself to be very human and self-questioning. For Elena, creativity in the kitchen is in the blood; her father is of course the legendary Juan Mari Arzak of the eponymous three-star Basque restaurant revered by gourmets around the world. 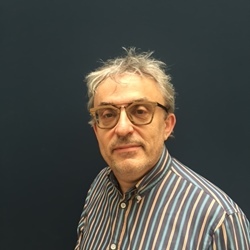 He’s just left the room in fact, a charming man whose modesty belies his culinary influence. Elena began helping him, ‘voluntarily’ she says smiling, in the restaurant kitchen at the age of eleven. Then came many years of gaining experience around the world, including time at Pierre Gagnaire in Paris and elBulli in Catalonia, until finally she came back to Arzak in the 1990s to work as equal partner with her father. In 2012, she was named Veuve Clicquot World’s Best Female Chef. For her it’s the work that is the main focus, and at Arzak the work never ends; there is no resting on the comfort of all the awards she and her father have acquired, and imagination and invention never stop driving her as she sets about redefining Basque cooking. At Arzak there is a laboratory and test kitchen, separate to the main one where every day they try to create something new. This year she brought another visual showstopper to demonstrate, a dish of Kokoxtas. ‘Hake’s ‘cheek?’ she asks me, before correcting herself. ‘No, in English it is throat, I think – the gelatinous part under the head.’ It’s a classic example of her style; old always meeting new in surprising ways. 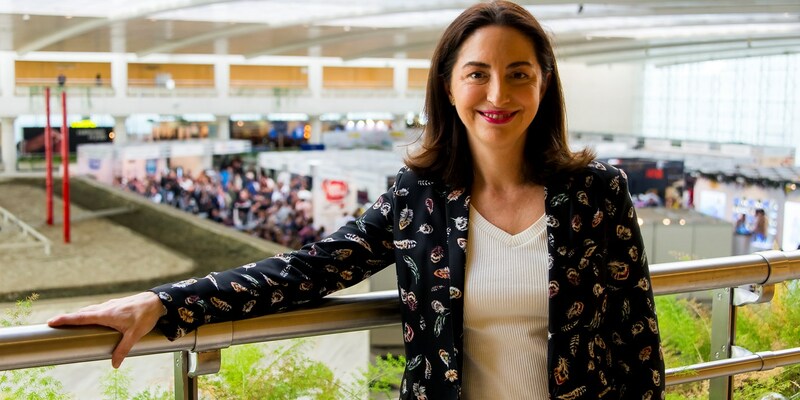 ‘Hake kokoxtas are eaten pretty much only in the Basque country, usually grilled or served with pil-pil, a kind of emulsion made with olive oil,’ she explains. The mesmerising swirls on the re-imagined hake dish are created by putting the plate on a record player turntable that spins while the emulsion is applied by a multi-nozzle squeezy bottle. ‘It is quick, in order to keep the food hot, and it is precise,’ she explains. ‘The guests never actually see it in action. We have three old record players in the kitchen, two to handle an average day’s service and a third in case one breaks down!’ What speed do they run at? 45rpm or 33rpm? ‘Oh, always 33rpm,’ she grins. Looking at the photos of the redesigned restaurant, you can see it is still recognisably Arzak. The shape hasn’t changed but the external features have been modernised and rethought. It’s still a place that her great-grandparents would recognise and approve of. Elena draws the obvious comparison between her cooking and the restaurant’s facelift. ‘You see, no matter how original and creative I want to be, I always try and stay Basque. 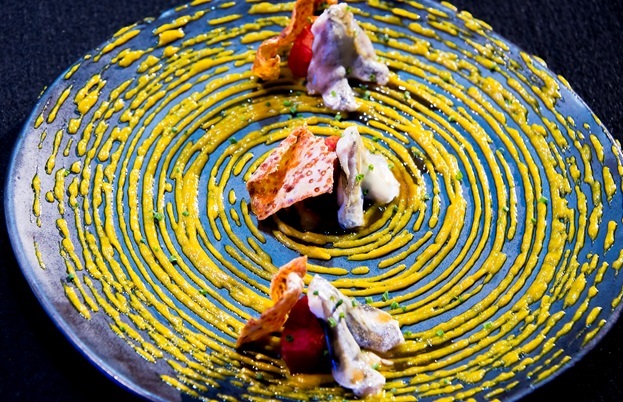 That’s because I don’t want to lose our food values – but I don’t want to live in the past either.’ The future clearly still has much to hold for devotees of Arzak’s cooking.